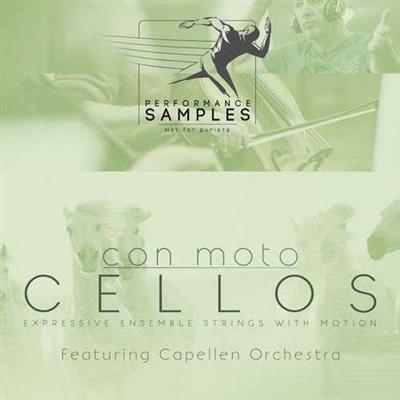 Cellos is a string library recorded with motion in the sustains, legato, and attacks/releases. “Active-bow” sustains offer continuously re-expressed vibrato & emotion, via performance & editing approaches. Responsive note attacks and meticulously-timed release samples – derived from units of musical performance – morph with your playing to allow fluent note-length variation, similar to previous Performance Samples libraries. Cellos continues along the path of “energetic release samples” and appreciation of performance-sourced phrase endings as a critical element of the toolkit in release-sample functionality. Bow-change legato transitions wrap it all together, and with the entire library recorded con moto and musically-restless, the result is a breathing ensemble with coherence in phrasing, vibrato, and expression.